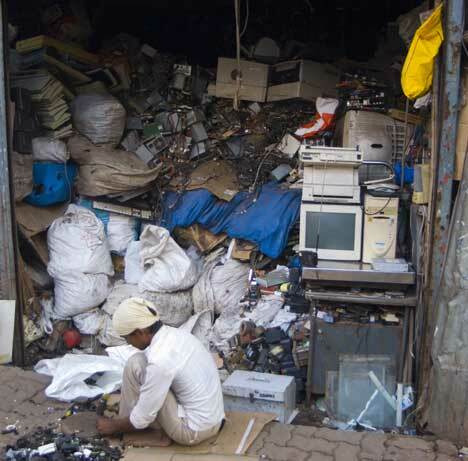 I had to pass a few horrid bylanes and blind alleys with no clear markers, using word-of-mouth guidance before I got to meet Harshit Patel, who had agreed to show me to an informal e-waste operation in the slums of Mumbai. The city generates one sixth of India’s GDP, and its slums function like some kind of informal special economic zone, churning out everything from export quality leather goods, clothes, and pottery using cheap labour. According to a 2007 Guardian article, the recycling industry employs around 2,50,000 people. Stuart Brand, editor of the Whole Earth Catalog considers squatter cities like Mumbai to be hubs of opportunity, full of informal enterprises that engage in unlicensed and untaxed businesses. They’re the “dark energy of economic theory,” says a slide. And on a positive note, rapid urbanization as a continuing trend will defuse the population bomb, as statistically, people in cities have lesser children. Back to the e-slum for now. The whole area was caked with red stains and plastic gutkha packets. 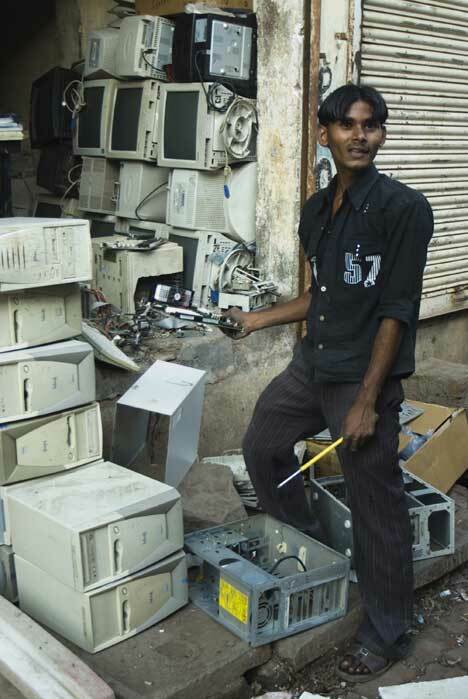 Graveyard workers who burn bodies traditionally eat paan to anesthetize themselves, and this computer graveyard was no different. Cell phone in hand, I wandered around, walking past a guy who was brazenly burning plastic off a bunch of wires to get at the copper. Around this time, Harshit called and asked me to turn around. He was going to give me a guided tour. People here didn’t seem friendly, some were worried. My long haired photographer friend was drawing a crowd with an SLR camera in his hand. One guy came up to me and asked me if we were going to get them arrested. I don't know if he was joking, I assured him that I had other designs. 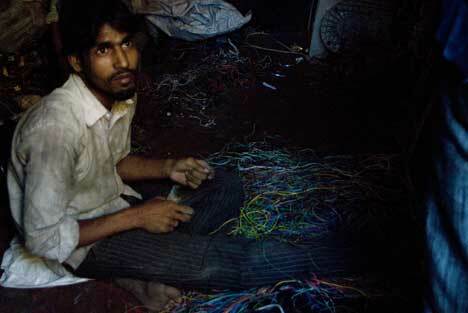 In these shacks, I saw workers extract copper out of wires using hammers and blades. There was quite a bit of hardware memorabilia in the form of decades-old chipsets and components - I saw hard drives the size of bricks, a Cyrix processor and motherboard, and a sea of glass, plastic and metal strewn around. According to Harshit, the next chain of recycling takes these components out of Mumbai, (it mostly goes to Delhi, he said). Nevertheless, when the rains come, in all likelihood the e-waste pollutants seep into the soil, flow through the gutters and nallahs and into the sea. Dead computers and their galaxy of components have in them a number of rare earths and precious metals (gold, palladium, neodymium, etc.) worth recycling, but also contain a number of toxic substances that can spill into the ecosystem. The laundry list of toxic chemicals include: arsenic, brominated flame retardants (BFRs), mercury, phthalates, and polyvinyl chloride (PVC). Older, bulkier computers have a lot more precious metals apparently, which also explains, perhaps, why they were so expensive back then. It is fraught with health and environmental risks, which is by recycling them is best left to industries with ISO certification standards. Another reason to not try this at home: In all likelihood, a motherboard that sells for $100 will have less than a dollar’s worth of metals worth recycling. The Earth from Above exhibition quotes a 2004 UNU report which states that it takes 1.8 tonnes of materials to make a desktop computer and a monitor. This includes 240 kg of fossil fuels, and 22 kg of chemicals. Pound for pound, it is a lot more energy intensive than the automobile industry. The same report gives readers a good reason to support durable products with a good servicing ethic, and platforms with a lesser number of upgrade lifecycles: “The energy savings potential of reselling or upgrading is some 5-20 times greater than recycling.” says Eric Williams, author of the paper. Nokia has put up 1300 recycling bins across its dealers and centres in India this year, and Sony Ericsson claims to have cut the carbon footprint of its phones by 15% by using recycled plastics and smaller packaging. According to Apple, hardware recycling amounts to just 1% of their product’s environmental impact, but we weren’t able to ascertain how this had been calculated. They further claim to have reduced energy consumption by using a combination of evenly matched power supplies, components, and power management software. According to their calculations, product use - the amount of electricity a computer consumes counts for 53% of its total greenhouse gas emissions. The gigahertz race pushed the power consumption of desktop processors to outrageous levels, but lately, power efficiency has been given the emphasis it deserves. To a fair extent, computer manufacturers have begun to close in on the gap between power and power efficiency by making their desktops more energy efficient when idle. Intel recently unveiled a ‘Single Chip Cloud Computer’, the IA32, which has 48 cores running at a maximum of just 125 watts. It’s also another reason why we look forward to nVidia’s Tegra chipset, which promises to run a netbook for a week, and apparently only consumes 300 milliwatts of power in the Zune HD. Energy consumption is coming down across the board and is not just relegated to the CPU powering your system: Apple’s page boasts that the Mac Mini consumes 14 watts of power at idle. Other manufacturers have also begun to follow suit. NEC came out with a monitor recently that consumes 20% less power than other LCDs of the same size. Google.org, a philanthropic branch of Google is developing PowerMeter, which taps into smart meters and helps track energy consumption through PCs and smartphones. The service will eventually be rolled out in India through Reliance who have partnered with them this year. According to Google’s Ed Lu, they aim to save a “socially relevant amount of energy” through this software. According to Wikipedia, there are currently 40 million smart meters in the developed world. Older computers can be refurbished to boot on Linux, or they can be repurposed. 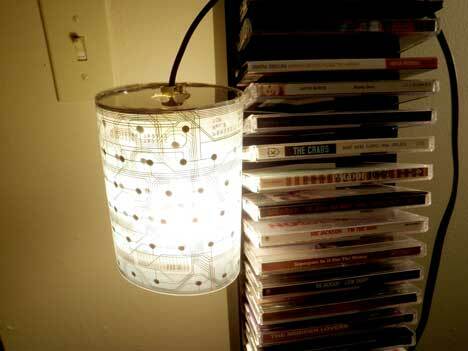 An artist from New Zealand has turned circuit boards into lamps. Another artist, Benjamin Gualon, who has founded the movement of recyclism, has made a totally unique object of beauty and joy - a custom rock band kit out of 8-bit Nintendo consoles and a bunch of gamepads. Each gamepad handles one particular sound: bass, drums, synthesizer, percussions, etc. Surely our country of out of work electronics engineers can make things like these for cheap! 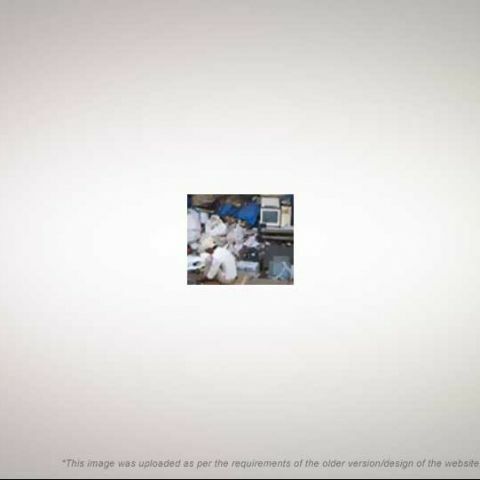 Another book with the same sensibilities will come out this month – it’s called 62 Projects to Make with a Dead Computer. 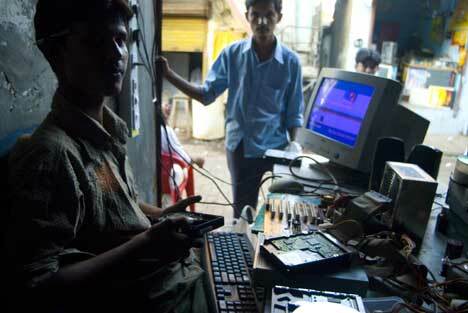 Harshit and I plan to start a website with instructions and design ideas to refurbish e-waste. It will be an open source hub for design ideas. We will try and repurpose hardware and e-waste into objects of utility and art. We already have a few ideas implemented, and there are plenty more ideas in the information ether. We welcome your thoughts and contributions. Can i used CRT monitor as a standalone TV without going through the computer?